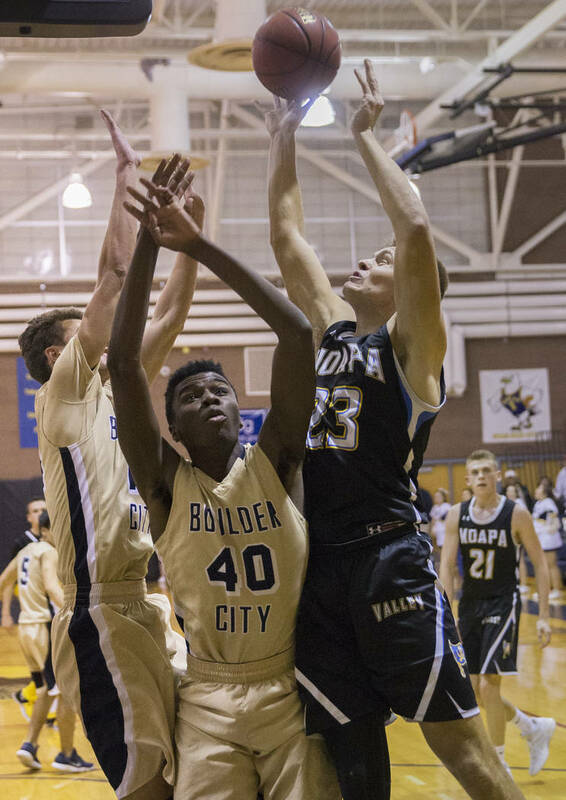 Boulder City boys basketball coach John Balistere called a timeout with 90 seconds left in the third quarter Tuesday to loudly implore his team to improve on defense. 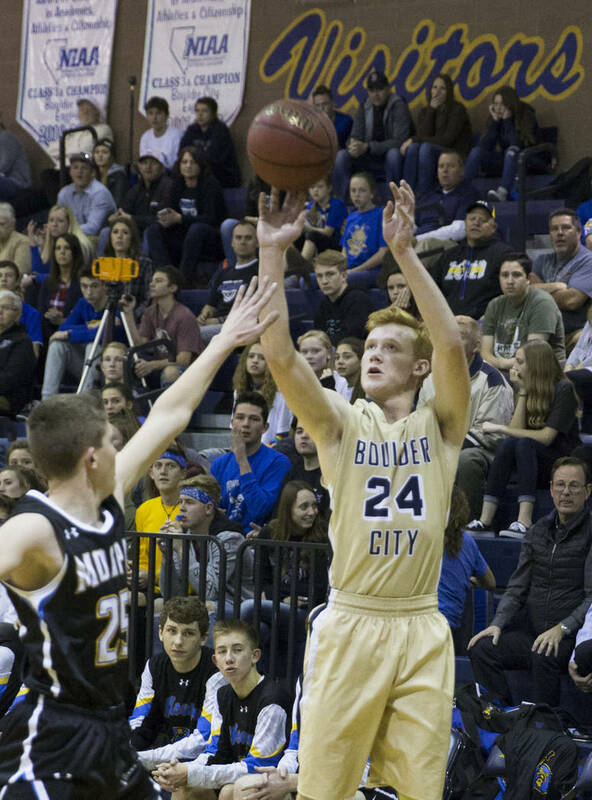 The Eagles promptly gave up a deep 3-pointer. 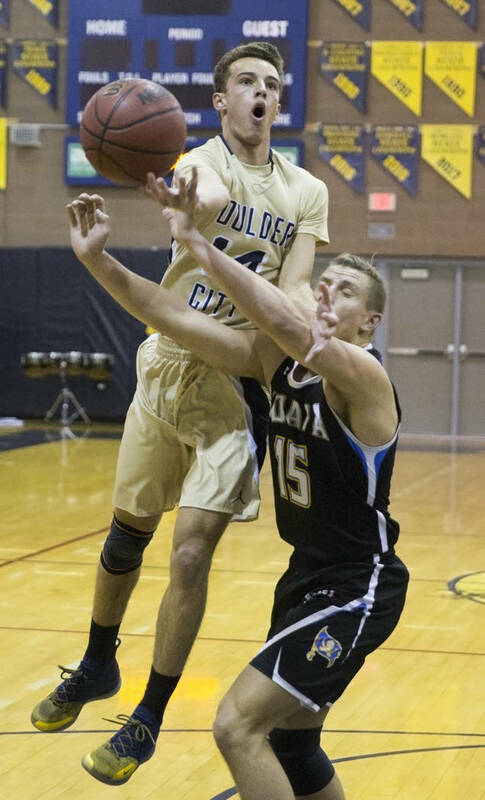 And then allowed only two more points in the next 3:50. 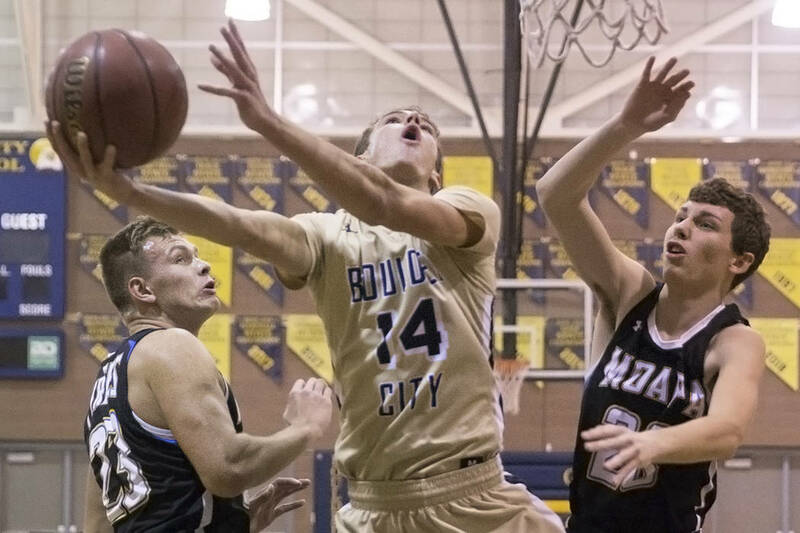 It was enough for Boulder City to open up a 13-point lead on its way to a 71-60 home win over Moapa Valley and maintain sole possession of first place in the Class 3A Sunrise League. 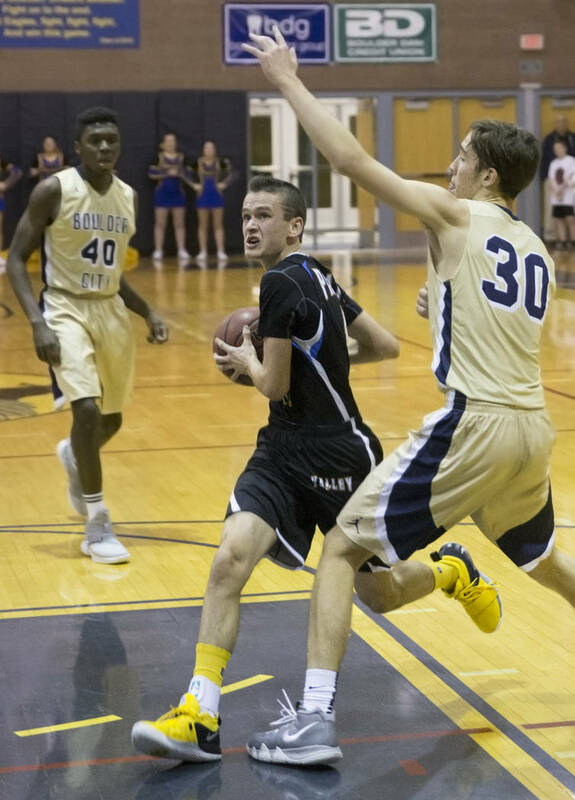 Cameron Reese’s 26-footer with 1:13 left in the third quarter allowed the Pirates to creep within 47-43, but a three-point play by Karson Bailey just 12 seconds later started a game-clinching 11-2 run for the Eagles, who bumped the lead to 58-45 on a Derrick Thomas free throw with 5:42 to play. 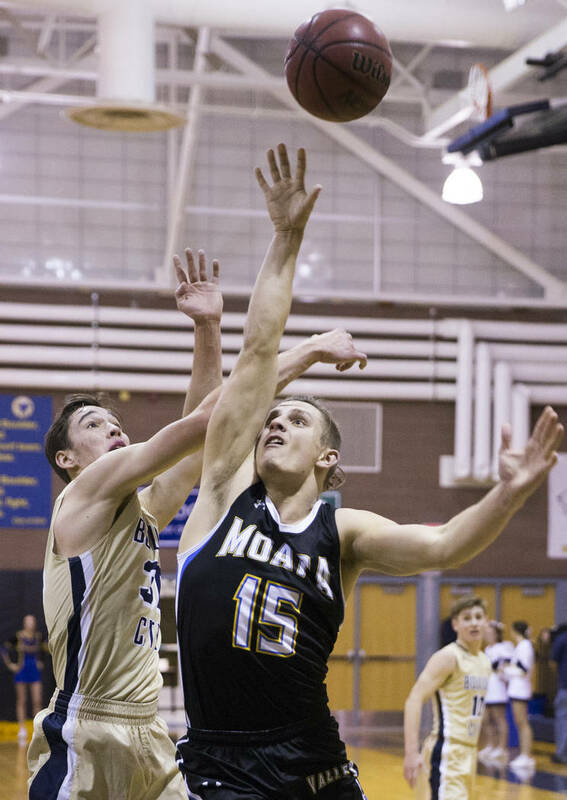 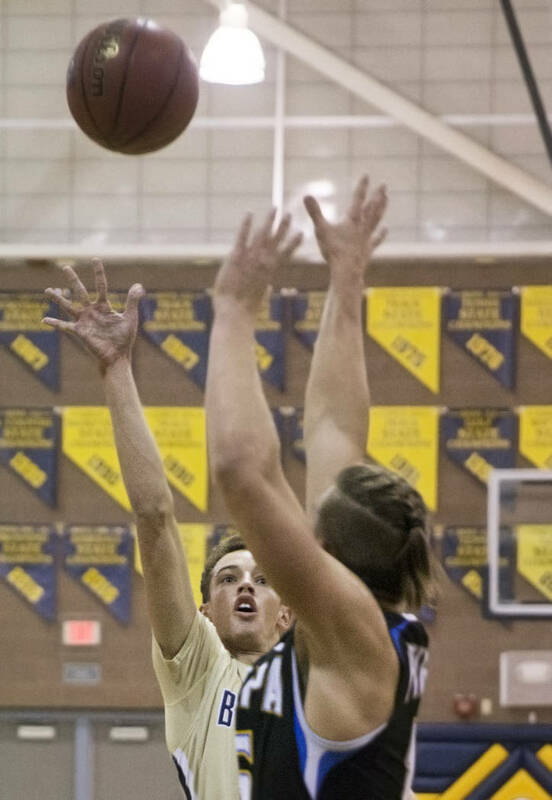 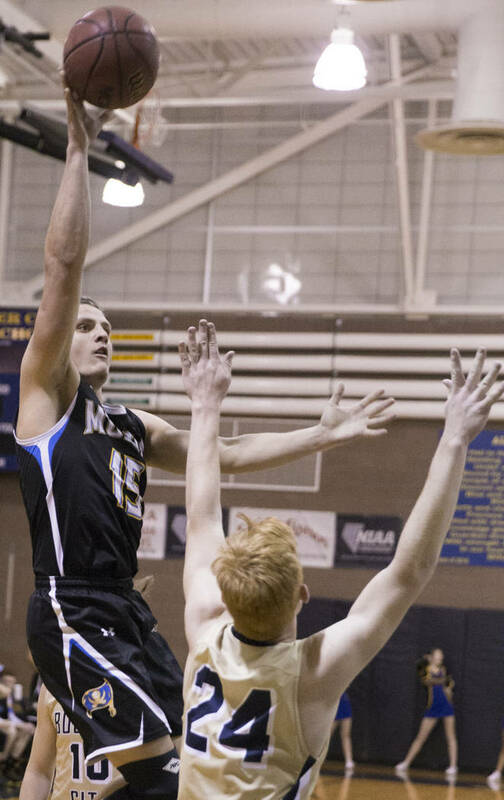 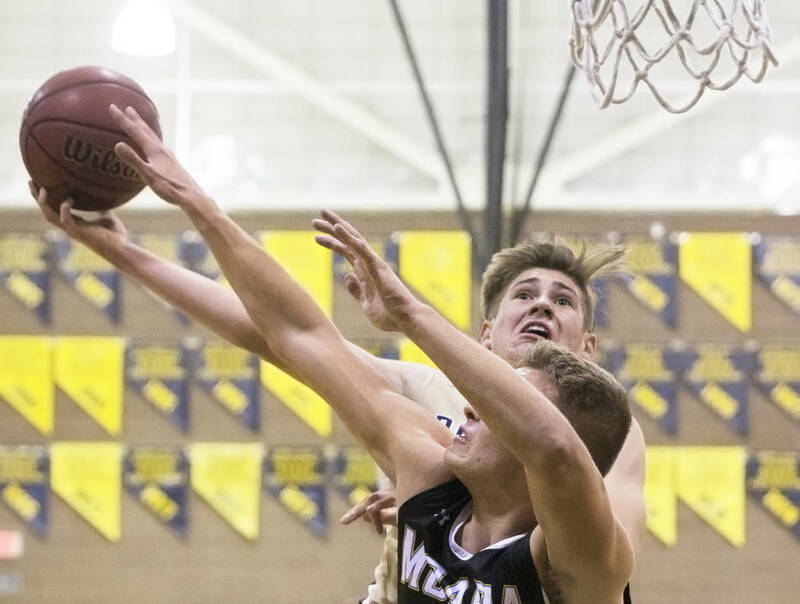 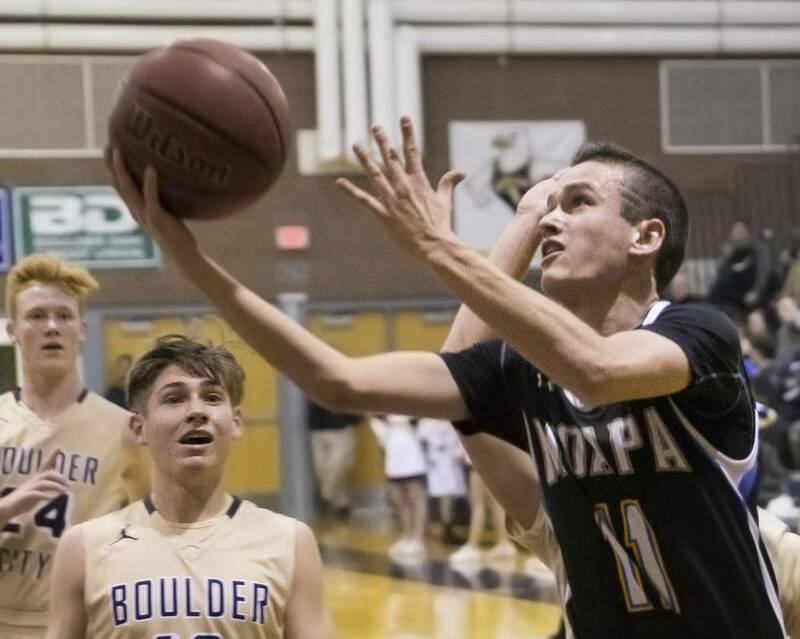 Moapa Valley never cut its deficit to less than eight the rest of the way as the Eagles (18-3, 5-0 Sunrise) made 15 of 20 free throws in the fourth quarter. 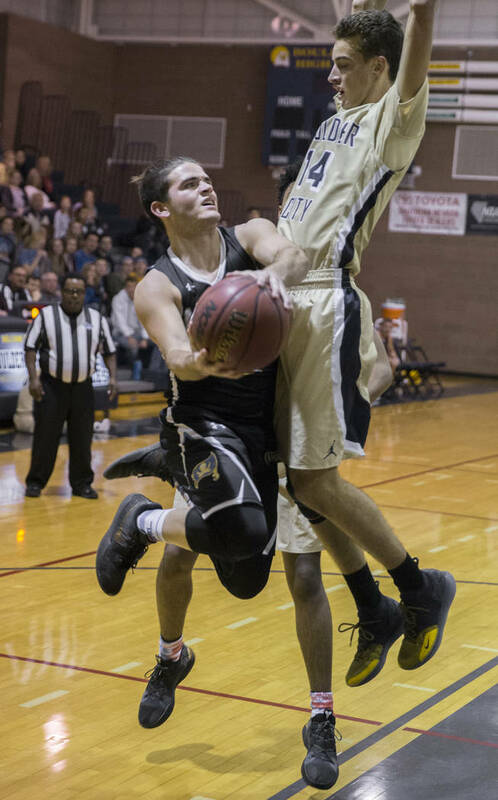 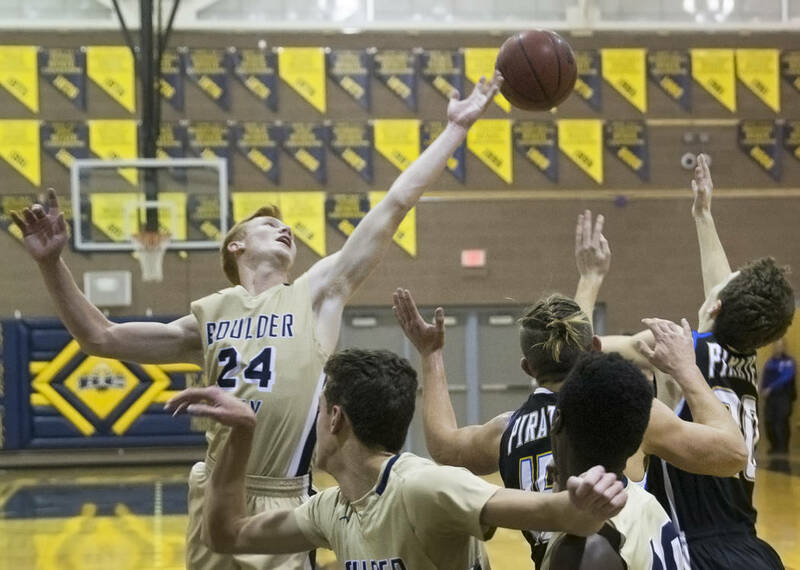 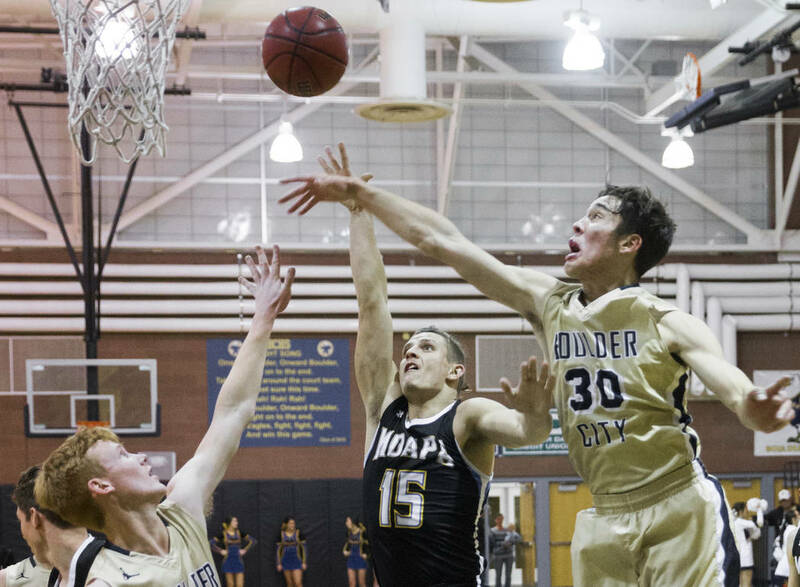 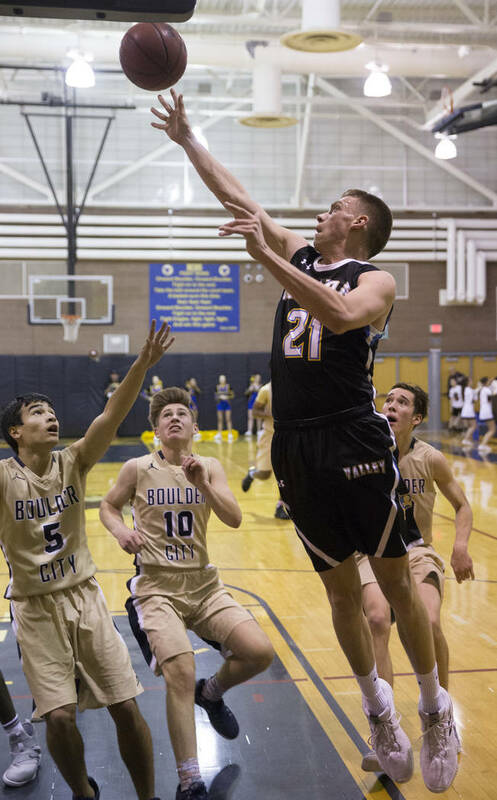 Ethan Speaker led Boulder City with 23 points and 13 rebounds, 12 of those defensive. 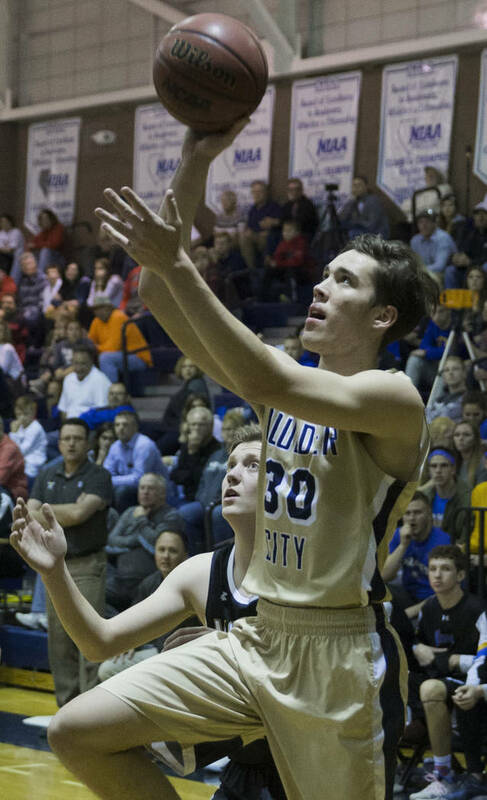 Thomas scored 16 of his 21 points in the second half as the Eagles expanded on a 33-32 halftime lead and won for the 10th time in their last 11 games. 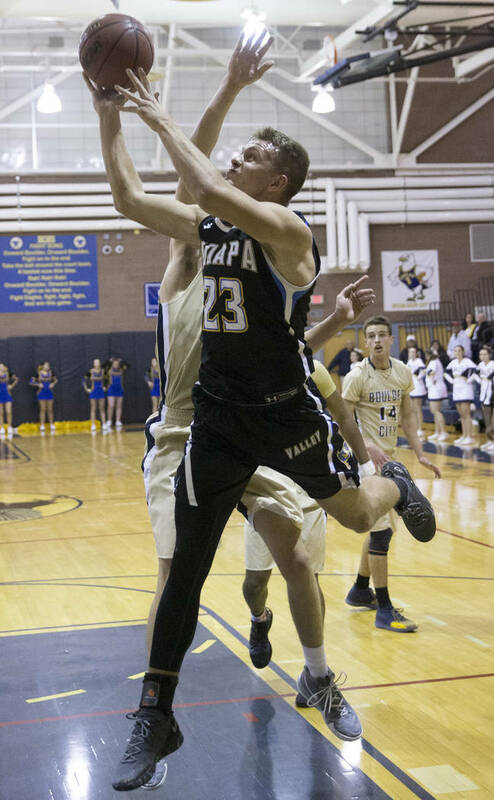 Jessup Lake led Moapa Valley (13-8, 3-2) with 16 points. 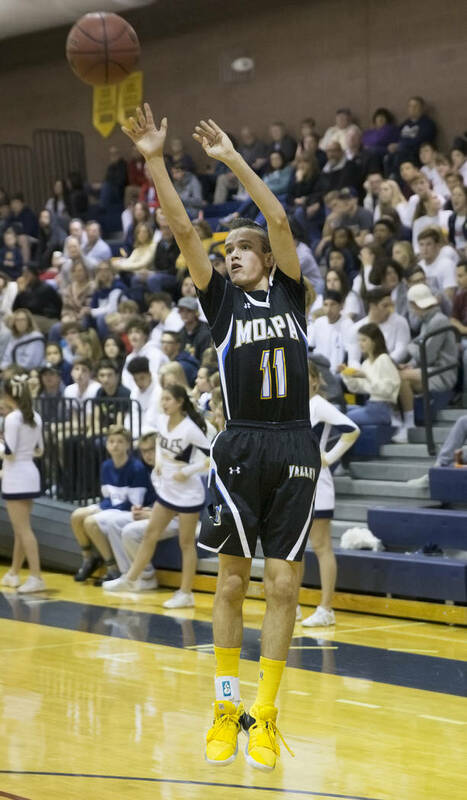 Kashten Frei hit four 3-pointers and finished with 12 points. 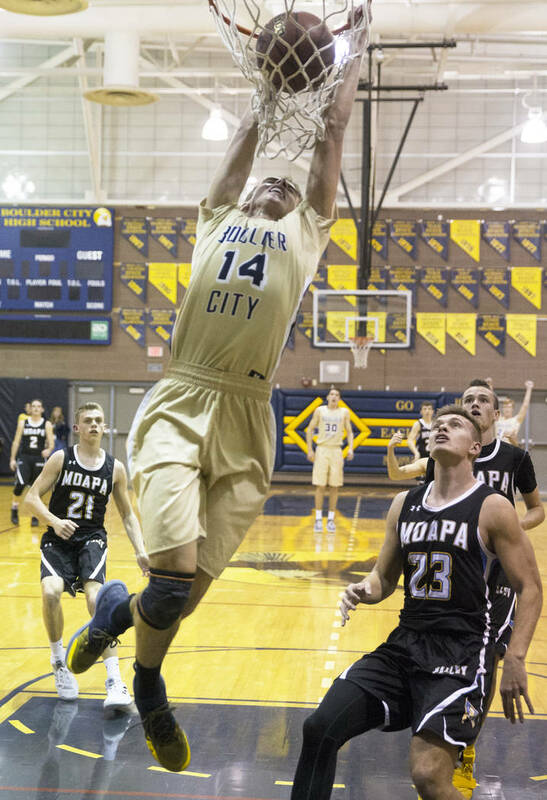 Lucas Walker had 11 points.